In the sprawling campus of Gorakhnath temple in Gorakhpur, Uttar Pradesh, lies a beautiful Bheem Sarovar. Beside it is a temple dedicated to Bheem, the second of the five Pandava brothers. Bheem's idol is in a resting position on the floor that is marked by several cracks. The tale goes that Bheem came to invite Yogeshwar Gorakhnath — after whom the temple is named — for a Rajasuya yajna, organised by his brother Yudhishthir. As Gorakhnath was in samadhi, Bheem had to wait, and the land on which he was resting fell. It was in this memory that the lake was built. This story holds significance because in the past few decades, Bheem's physical heft became an allegory of the political clout the Gorakhnath Math and its 'chief priest' enjoy. 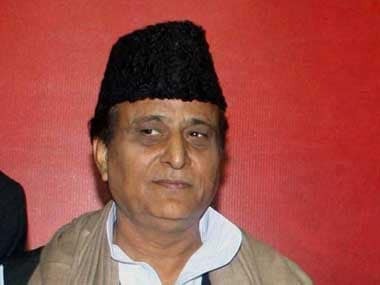 In the past three decades, no one but the temple's representative won the Lok Sabha election from Gorakhpur. 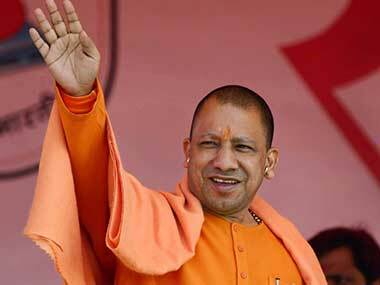 Yogi Adityanath, the incumbent Chief Minister of Uttar Pradesh, won this seat five consecutive times since 1998. Before him, Mahant Avedyanath had won from the parliamentary constituency first in 1971 and then three straight times from 1989. And before him, Mahant Digvijaynath had won the seat in 1967. They were all the 'chief priests' of the Gorakhnath Math, a post that Adityanath also holds. The clout of the "mandir" — as the Gorakhnath temple it is popularly referred to in the region — is not limited to this one parliamentary seat or district either. Its influence stretches to the adjoining constituencies and significantly affects the prospects of many aspiring politicians. However, BJP lost the Gorakhpur seat to the Samajwadi Party in the 2018 bypoll. Praveen Kumar Nishad had the support of the Bahujan Samaj Party, as well, in the by-election, necessitated by Adityanath vacating the seat after being made the chief minister. The defeat was a major embarrassment for both the BJP and Adityanath. The saffron party's candidate Upendra Shukla had lost the by-election by a small margin of around 22,000 votes. 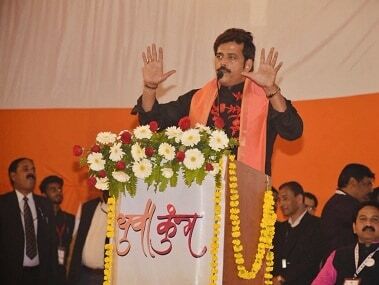 While it was earlier speculated that the BJP will field him from Gorakhpur once again, it chose another Shukla and a Brahmin face — Bhojpuri actor Ravi Kishan — to represent the party in the constituency. Kishan is a safe bet for Adityanath, who would not want any leader to establish his home constituency as his stronghold. Being an outsider, Kishan will have to completely depend on Adityanath to win. Also, being an actor who is still active in the business would mean that he will not have enough time to establish a strong 'connect' with the people and could be replaced as and when the need may arise. 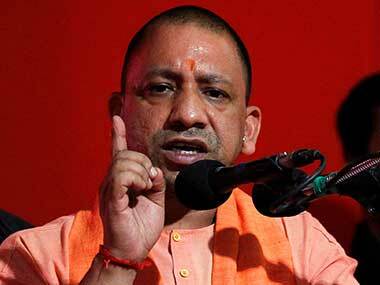 Adityanath has had a bitter experience in this regard and is likely to ensure that no 'independent' leader establishes a place on his home turf, and Kishan's candidature ticks all the right boxes for him. However, after the BJP announced Kishan's candidature, the first reaction among the people of Gorakhpur as well as BJP cadre was one of disbelief. The BJP's last Gorakhpur candidate Upendra Shukla, who had been quite active in the past year, especially after he was promoted as the Uttar Pradesh BJP's vice-president in September, had made party workers believe that he would be the natural choice for the seat if the BJP were to field a Brahmin candidate. However, apart from caste equation, the BJP also relied on the "other factor" in choosing Kishan over Shukla. There is a general agreement among BJP workers in Gorakhpur that Shukla, being an "active party member", would have gained much wider support and should have been given another chance instead of "outsider" Kishan. While the BJP is banking on the popularity of the Bhojpuri actor and his caste, he is in for a tough fight from the Samajwadi Party and BSP's joint candidate Ram Bhuwal Nishad, who is a well-known Nishad leader in the region and was fielded by the BSP in 2014. The contest will essentially be between the SP-BSP candidate and BJP, as it has been always in Gorakhpur. Nishads make up a significant chunk of the population of Uttar Pradesh — around 17 percent — and includes the Manjhwar, Gaur, Turha, Kharot, Kharvar, Beldar and Koli castes. Their support can bring down even the strongest candidate. However, what can work in Kishan's favour is upper-caste votes, such as those of Brahmins, Thakurs and Kayasthas. Kishan could be a natural choice for Brahmins as he comes from the same community. The support of the 'mandir' and the fact that he is a BJP candidate are also factors that could work in his favour. Thakurs, too, may vote for Kishan as they have a strong affiliation and liking for Adityanath and consider him their leader. They may also vote to ensure Nishad's defeat as he has been at loggerheads with the Thakur community in recent years. 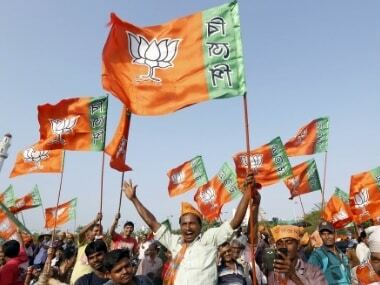 Moreover, the Nishad Party, which had defeated the BJP in a by-election, has now allied with the saffron unit and can sway a significant number of Scheduled Caste and Backward Caste votes, including those of Nishads, in the BJP's favour. Whatever may the arithmetic be, the result is what matters in an election. And in Gorakhpur, the contest and its result are not just about a Lok Sabha seat; it is battle to see whether the "leader", who was once considered "invincible" for decades and faced the first serious challenge only last year, will manage to reclaim his land and legacy.